What is ‘Human Resource Management’? Human means the workforce that involved in an organization. Resource means the limited availability. Management means the proper utilization of limited workforce. Human resource management is a process of hiring and developing the employees according to the organization. The “Human Resource Management” is a function that involves in the process of hiring of the workforce, providing development & training, maintaining workforce regulation, assessment of their performance, providing compensation & benefits, motivating, relation with labour, health, welfare and safety assessment”. Get Latest Career Notification about MBA in HR, by entering your details below. MBA in HR (Human Resource) is one of the most opting specializations of management courses. It is a challenging and stimulating programme of management. The HRM was started as the discipline of the education and in a profession in the year 1913 as the labour management in England. It is the age of industrialization in all around the world. Many industries are being established in many countries. HRM is the backbone of any industry in order to the skilled and knowledgeable workforce. The scope of the MBA in HR is very much demanding profession. As you know HR is the most important part of any organization/company. So, the need of HR in every field is increasing. In this profession, you can avail numbers of jobs with higher salary packages. After this course you can apply for most reputed and respected job levels in various top most companies in India or in abroad. HR manager plays a crucial role in any company. So, in this profession you can make your career successful. The job opportunities in this field are increasing globally. MBA in Human Resource (HR) is a 2 year degree programme. You can choose the one of your favorites and interested specialization out of the finance, marketing, HR, OM etc. To get the admission in MBA you should have a graduate degree in any discipline with 50%. Here we are talking about one of the specializations called “Human Resource Management”. MBA in HRM allows the students to develop the general management skills in the first year and the learning about human resource practices in the second year. In the curriculum of the course, the students are taught about the strategic management, human resource development and legal aspect management. The students are taught about the cultural, social and economic factors that influence employees’ relation. Effective Communication Skills: It is the important factor in individuals for effective communication skills. If you are excellent in communication with peoples then, you will surely make unity in the organization. Supervision Quality: This quality belongs to the supervising of your junior in every field where they have your need. You have to build the quality of giving direction to your junior employees. Planning skills: This skill is a very important part to provide favored situation for your company. In this, you have to know the best techniques of planning and creation with the development of peoples working in your company. To get the admission in MBA with any specialization, it is necessary to appear and score in entrance examinations as MAT/CAT/XAT or ATMA. You can do the MBA in HR after the completion of UG degree in Engineering, medical, science, art and humanities. Yes, you can do the MBA in HR through the distance learning education programme. Some of the universities like Sikkim Manipal University and Indira Gandhi National Open University are offering the distance MBA programme. The IGNOU conducts the OPENMAT as entrance test. There are various job opportunities in the field of human resource management. all industries need to hire an HR administrator(s) to settle and handle the activities regarding the hiring of employee, their benefits, compensation, salary settlement, training & development and maintain the work performance of the employee, and ensure that all activities is done as per the company policy. An MBA in HR graduate can work in the industries, corporate, colleges & schools and MNC’s. There are a sufficient number of job in India, and off-course there is a great opportunity to work in abroad. It is a well-paid field. A well-experienced MBA graduate in HR specialization can earn the 2 lakh to 5 lakh per annum. The remuneration is a subject of the profitability, geographic location, organization level and personal qualification and experience. As a fresher, you can earn between Rs 3-5 per year. The salary depends on several factors such as the organizations you work, work experience, company location, academic background, etc. After gaining an experience, you can earn between Rs 3 to 6 lakh per annum. For more information about MBA in HR, leave your comments below. hello sir , i have done my graduation in Bsc(H)Maths , should i do MBa in finance or in HR ? Kindly reply . Yes Anchal you’ve got many options available, finance is a good option, also MBA in IT is also good..
I’ve completed my B.E. in ECE and now I wanna pursue MBA. I’m confused in which I’ve to do that i.e in HR/FINANCIAL/AIRLINE/CORPORATE /TECHNOLOGY MANAGEMENT so please help me in that. And it is in Chennai with good future scope. Sir I had completed my bachelor degree in political science. Will it be good to go for MBA in Hr . Am pursuing ma bsc in hotel management … I want to do mba in hr .’ll it be a right decision ? Bczz in ma bsc am studying subjects related to hr nd chossing mba in hm is good but still want to know hw Gud it is choosing hr as ma carrier? See HR is a separate department in each individual line either that would be in HM industries. After completing the MBA in HR you may get the HR position in hotel industries. Plzzz.. Suggest me a best degree course which is useful for my future . I completed my 12th studies just now so l am confused in selecting a course. I took c.sc in 12th.. I have completed MBA in OPERATION MANAGEMENT from IGNOU. Now a days im working in BPO. Any HR job will help me to grow and HR job is related to Operation Management or its differ role? I am,doing bsc with PCM group.. this is my last year of graduation.. is MBA in hotel management or hospitality management.. will be right MBA field for me??? i want to do H.R Management from DU and than MBA by clearing entrance so plezz tell me the scope in this field and the starting salary package. I have comleted my bsc from chemistry..
now am confused which MBA field will be better for me.. suggest some suitable MBA field which is belong to my field????? healthcare or Oil and gas. now am confused which MBA field will be better for me.. suggest some suitable MBA field which Are belong to my field????? I am surjith.I completed Bsc hotel Management. Now i would like to do MBA in HR. Is it suitable for me? Since you have done your B.Sc in Hotel Management, then MBA in Hospitality management will be a good option for you. If you are a working person then only correspondence course in same field would be beneficial for you otherwise you must go for the regular course. MBA in Finance, MBA in IT, MBA in Logistics, MBA petroleum and pipe lining are some of the good career options. Hi.. am an IT guy with 4 yrs experience. I have also done MBA in distance from Bharathiar university, Tamil nadu. I like to move to management side outside. what are my opportunities and how to approach it? hiii….i just completed 12th…i decided to study MBA in HR…shall i choose BBA….suggest me some best colleges in chennai….and tell me is it the right choice????? yes you cn pursue BBA, after BBA you can sit for CAT/MAT to pursue MBA. yes HR field is good and has good scope in future. I done my BBA in marketing and I want to do my MBA in HR .Is this decison made by me is correct or not ? yes it is a good decision, but choose a good college to pursue your management studies. hie, iam really very confused to take decison. i hav completed my BE in electronics stream. And now i am working as a US IT recruiter. please just tell me frankly ,is this experience will be useful to boost up my salarie if i do mba in hr? Hello…I m done with my bsc honours in nursing…..n now want to do mba in hr. If you want to do MBA, then it is better to do it on a full time basis and do it from a reputed college having good placement record. I am going to complete B.sc this year and I was thinking of doing MBA in HR. Is it a right decision ??? Is there scope in HR ??? yes their is good scope in the HR field as HR Professional are recruited by all sectors. This year i am going to complete my graduation in b.com general in distance education from madras university.and after graduation i want to do mba in hr in distance education same from madras university.Will i get a decent job after mba in distance learning?? If you want to pursue MBA then it is good to pursue Full time, if you’re working somewhere then you may pursue on a distance mode. yes am working.. doing mba in distance from madras university is valuable?? does it worth to do mba in distance from unom?? I am Looking for MBA in HR in Bhagwati institute of technology & science,i have done my grad in B.A Program from Delhi University,is it right decision for me?? even right now m doing job as a IT HR Executive domain, so suggest me plz that wht should i do??? If the decision is taken by your daughter then let her do the MBA and of course HR is the good career and it is a back bone position of any job sector. Now there are two options; either she must do the BA and then MBA or she can get the admission in Integrated MBA from any India management institution or from abroad. I think If she can do the commerce and then MBA that will be the best academic combination. I m also completed my 12th this yr..n i also like to do career in MBA hr but same the peoples telling that it doesnt have scope in future..sir this is right field or not ? im looking for mba in hr..i have done my grad in mechanical engg…is it a right decision? Not at all. Both fields are different. If you will go with the HR then what benefit of your ME? Do the Master in your stream. hii….i m doing b.com ….and in future i want to do mba in hr …..is it a good decision….n is it scopeable in future also…..
After B.Com, MBA in HR is a right decision. depends on company and your academic background and your enthusiasm. yes MBA is a good option, HR and finance fields are good and have huge scope in future. Hi I did BCA and I want to go wid MBA HR ..is it right decision to go like this because Der r too many jobs for hr in abroad..& what will be d job role for me in company .. 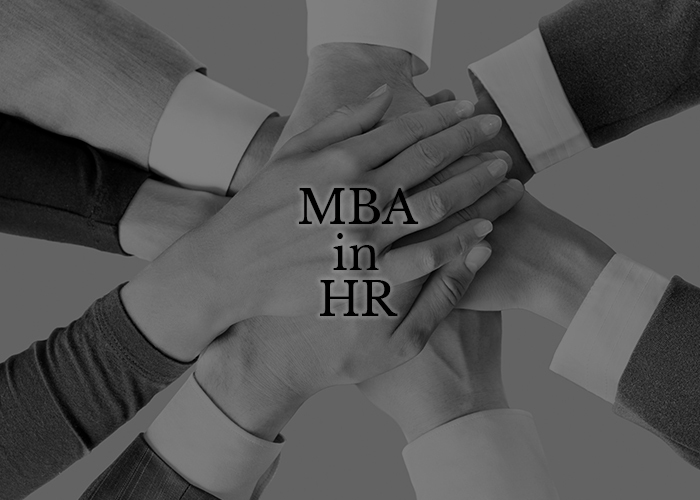 Yes MBA HR is an evergreen field, and there are ample job opportunities in this field. See HR is not just less scoped career as you are thinking but the matter is that what your qualification and field in graduation. If you have the commerce field then go for HR or finance. Yes Sir ,I have done B.com already . Now I am doing Mba and the specialization I took is hr and everybody says that hr has no scope,but I am interested in that subject and I am worried maybe I am taking a wrong decision . It is one of a good decision. Because you have interest in it then don’t think so much and go on. I want to know that What is the criteria for getting job in HR department in any reputed organization while I have completed MBA in HR from distance education / course two years ago? I want to know that, What is the criteria to get a job in HR department in any reputed company while I have completed MBA in HR from distance education two years ago? Please guide me. get your profile in naukri classified or search job by online. What is the criteria to get job in HR department in reputed organization while I have completed MBA in HR from Distance Education /Course two years ago. Hi there, I would like to ask that can I do MBA and BBA without accountancy subject ? And which courses I can do without Accountancy subject ? Hi..i just want to knw that i hav cumpltd my bsc in computer science so is it a right decision to choose mba in hr for my career. Pls help me what should i choose ?? MBA in HR is good, but since you are from computer background, you should pursue MBA in IT..
Due to some family reason, I have stayed at home for two years. What kind of problem I may face during interview, and How can I resolve it and convince the recruiter. Please Answer me. You can tell the actual family problem you have faced in that period…be honest with them. What is the criteria to get job in HR department in any reputed organization, While I have completed MBA. in HR from Distance Education two years ago. adhere to the classified papers or make your naukri account. I have completed MBA in HR from distance education in 2013. How can I get job HR executive / recruiter. In any. organization. In which part I should work hard. after completion of your MBA try to get into any small entry level organization for experience later u will come to know where u wanna go..
Hi!i am Khushi.Currently i am doing my final year B.Tech(IT). I would like to do MBA. Which course in MBA is suitable for me…And what is the scope of that…. First of all i would like to thank all of the students who have the passion to do something in their life. Now coming to ur point Khushi as u said u r currently pursing final B.tech in IT sector Would suggest you to go for an MBA in IT. Why i am nt advising you to do Hr,Fin, Or Mrktng.Bcoz as ur studies bckgrnd is related to IT. Make ur carrer or expand ur knowldege into that field.If you are frm very rich backgrundand hav enough time to do studies i would suggest do an inquiry for an IIM Ahemdabad Institue.and take advisies from ur professor and from your friend circle before taking any carrer decision of ur life. All the Best rock it Indians. I’m pursuing my mba in hr. I will complete my mba by this month. I have 2 years of experience in international customer service but after completing my mba in hr I would like to work in hr field, I’m not intrested in cs anymore. How do I get job related to hr. What skills are required. Could you please suggest me. waiting for your reply. In my opinion it is not a good decision. any person who belong to any stream can do the MBA in HR. Where does your degree (CS) stands. SO you must do some special course like MBA in IT that can explore your subject as CS. Good evening, I am a student of class 10. I have just completed my board exams, and my ambition is to do MBA in HR, cz I am inspired a lot by my father who is into this field. But I still require some proper guidance cz my dad is busy most of the time and we dont get to talk about this. So, first of all i want to know, “will there be any demand for HR in the future?” As todays world ‘the 21rst century’ is all about technology and technology is most likely to replace humans.. The second thing is, “how well am I going to be paid in contrast to a person who has done MBA in finance?” Or simply tell me, what would be the maximum salary a person could get in HR? Money is valued the most, and money is the most important thing now a days. So I find it necessary to know the details about the salary etc. in HR because as a human, our desires and wants never end, and I dont want to take any wrong step where i might have to compromise and limit my desires.. I hope to get a help soon. HR is an evergreen field…and the job opportunities do exist in every sector since HR professionals are required in every industry. Now coming to ur point, as it is a technology driven era and a person should always be familiar with technology (computer knowledge), salary is never a issue for a deserving person. You can make good salary in every field what you need is expertise and experience. Hii…I m going to complete my bachelor’s degree in hotel management is MBA in HR a better option after that? Why don’t you go for the Master in HM. Hai, I discontinued my mba course on 2002 because of my marriage and I continued my studies (MBA hr) through distant education and got degree on 2015. Now iam 33yrs. Can I got any opportunities of job. yes, this is right decision. Sir, mene apna 12th class complete kiya h science bio me nd mujh kisi ne suggest kiya h ki mai bsc biochemistry me krke mba in hr krlu . To sir kya yeh thik rehga nd in sb ke baad mai kisi gov ya private job ke liye apply kr skti hu. Sir,I am ruchita jain. I belong to rajasthan in rohat. I want to become a CA. I want to know about cooleges or coching centere. Hi ,I have completed PGDM in HR can you suggest me what scope I have in teaching sector. You can pursue the course in MBA HR….if you already doing the job..
Hi…I m Matangi.I have done BA..I want to do MBA in hr.is it best for girls..can I get good job after this?.. Please suggest me. If you have chosen the career in management then go for any discipline. Any discipline is good for girls also. I am going for further MBA in HR. Is it a right decision? I am going to complete my BBA in June. And what subject as minor should I take to support my HR studies. Thank you. During the last two semester of your MBA you will be taught HR specialization and that will be sufficient. No, It is not True. although HR get handsome salary. It depends on your organization. Hi, I am Amrinder Singh pursuing MBA in 2nd semester. I want to know about the scope of Males in HR. Because I heard that in HR department Female candidates have preferences. Would you please suggest me that which field i can choose? No it is not true. HR field is for both genders. and although i have seen many male HR in my career. Hi.. I want to know that MBA in HR is how much important in today’s life and what scope in HR and is there any opportunity to work in abroad and what compensation..?? Yeah you can teach in schools as well as in colleges. You can teach subjects like commerce, professional comm., and any other subjects that you are comfortable with. Mba in hr is a very gud subject.people know about the marketing bussines ,training and development.nd sarvgyan is a very good side. now am study BA 3rd year.thn am wishing tht to study MBA in HR.Plz tl me BA karne k baad mba in hr karna acha rehga y nahi.or ye karne k baad job milega ya nhi. MBA HR is good after BA. Both are non-technical field and having a good combination. thik hai yaar tum hr ke liye apply kar sakte ho mera dost bhi hr ke hi field mai he aur wo success bhi hua hai . so you must be go to the hr field .